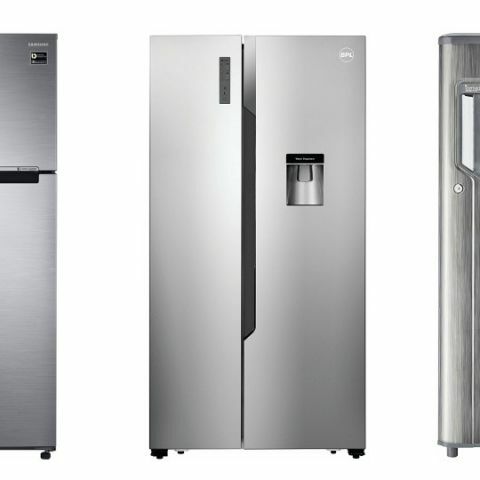 We have covered the best deals on refrigerators from Amazon Prime Day sale. The list contains products from brands like Samsung, Whirlpool, Haier and more. The Amazon is offering a bunch of deals on refrigerators during its 36 hours long Prime Day sale. The product’s we’ve listed down are from well-known brands. Let’s take a look at the best deals of the day one. The Samsung 253L refrigerator offers a stabilizer free operation, which means it can operate without a need of separate stabilizer. It also comes with frost-free technology that automatically defrosts ice-buildup. As per the company, the fridge consists of tough glass shelves that can even tolerate the weight of heavy water bottles easily. Click here to buy. The Samsung 415L 4-star energy efficient refrigerator offers 5 conversion mode that can easily convert your freezer into a fridge as per your requirement. It also has a digital converter technology that can automatically adjust the compressor speed. Other than that, the anti-bacterial protector in it keeps the fridge clean and hygienic. Click here to buy. The Whirlpool claims that the 215 L 4-Star Single-Door Refrigerator can keep fruits and vegetable fresh up to seven days and preserve milk for up to 12 hours even during power cuts. The fridge comes with a fresh control technology, which means your cold beverages will stay cool inside for up to 12 hours even during long power cuts. Moreover, the product comes with a ten-year warranty on the compressor and one year warranty on a product as well. Click here to buy. The BPL Frost-Free double-door refrigerator comes with a capacity of 564L. The refrigerator can automatically stop ice-build up and also features a super silent technology that enables it to function quietly. It has some other features as well such as Fast cool and fast freeze function, Intelligent control with a LED touch panel, water dispenser, and a multi-channel air flow system. Click here to buy. The Whirlpool 240L Frost-Free Multi-Door Refrigerator features a 6th sense active fresh technology that keeps your fruits and vegetables fresh for twice as long. As per the company, it prevents 99.9 percent bacterial growth and maintains natural moisture. The refrigerator also comes with a customizable temperature controller as well. Click here to buy. The Samsung 275L Double Door 2-in-1 convertible refrigerator features a smart connector inverter, which means you can now connect the refrigerator to your home inverter without any worries. It also has a dual fan technology that allows independent temperature control for the freezer and fridge separately. Click here to buy. The Whirlpool 200L 3-star Single-Door refrigerator offers 12 hours of cooling retention even during power cuts. It has two dedicated chill racks to cool water bottles. The refrigerator also equipped with an Insulated Capillary Technology that provides faster cooling. Click here to buy. The LG 215L Single-Door refrigerator consists of smart connect technology that lets you connect the refrigerator to your home inverter easily. It also has a fast ice-making freezer and an antibacterial gasket to prevent dust particles and bacteria from spoiling the food. Click here to buy. The Samsung Frost-Free Side by Side Refrigerator has a capacity of 674L. It comes with Twin Cooling Plus technology that cools the fridge and freezer separately. The refrigerator has a digital inverter technology that lets you connect it to the home inverter easily. Click here to buy. The Haier 345L 3-Star refrigerator comes with an auto-defrost technology that can stop the ice-build up automatically. The refrigerator can also keep your fruits and vegetables fresh even during power cuts. It also has a medicine box, two small door racks, ice cube-bin, Fruit case and two vegetable cases as well. Click here to buy.